Congrats Madaz’s Mad Christmas Giveaway Winners! 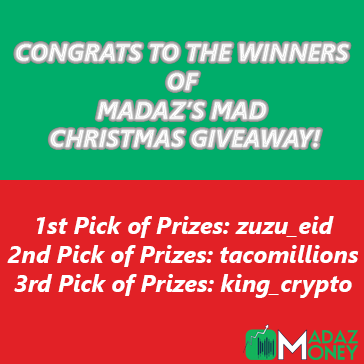 Here are your winners (instagram handle) for Madaz’s Mad Christmas Giveaway! Please DM me on instagram (@madazlifestyle) with your contact information to claim your prize!